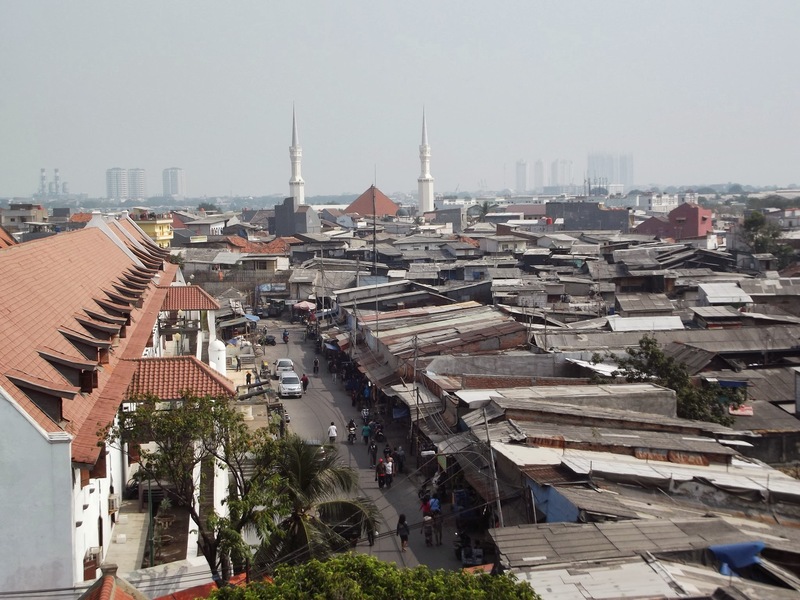 *This is an update of posts chronicling my Teaching In Jakarta, Indonesia, During Ramadan. As part of the U.S. State Department of Education’s IREX program, 10 teachers and I spent two weeks traveling, teaching, and creating friendships with Indonesian students. 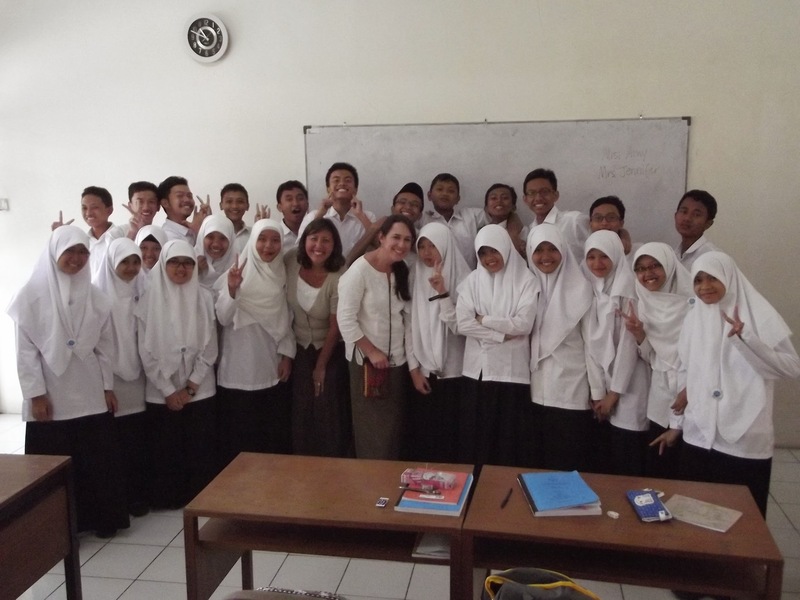 This trip was life-changing for me as a woman and a teacher; so many stereotypes of the Muslim religion and Ramadan were altered due to my ability to meet the Indonesian students, teachers, and families and observe what their daily life was like, what they valued, and how many similarities American and Indonesian teens share. As so many today are celebrating Ramadan, I’d like to share some of my experiences traveling in a Muslim country during their most holy time. I’d love to hear your stories of international travel and how it has changed your world, too. Sitting in my western style hotel room, sitting in a comfortable bed sipping coffee and watching CNN, I might think I’m at home in America. Then I hear the faint strains of the morning prayers broadcast outside, and am instantly clear that outside this window is a completely different world than what I’m used to. Teaching teenagers in Indonesia is opening up my ways of thinking. After only 76 hours in Indonesia, I’m beginning to understand some of the systems. The Indonesian people are all about hospitality and helpfulness, even when they don’t speak my language. I’m having a hard time learning Indonesian phrases – for some reason, they don’t hit my ear correctly and I cannot memorize even the simplest words. Teenagers in Indonesia aren’t really all that different than teens in America – but the schools are. Gender separation, strict uniforms, and forcing the teachers to move rooms instead of the students are unlike U.S. schools, but the goals and interests of Indonesian teens are amazingly similar. Communicating in an Indonesian school. I’ve learned not to take photos in a grocery store, to use my hand in a downward flat palm position when I need to push through a crowd (personal space is very limited), and that cold Bintang beer tastes great after a day hanging out with a Komodo dragon in the 91-degree humid weather. I’ve learned that teachers in Indonesia worry about many of the same things we do in the US – how to celebrate and teach diversity, how to engage students who are more interested in social media than school, and how to preserve their cultural identity, all on a salary of $150-$300/month. 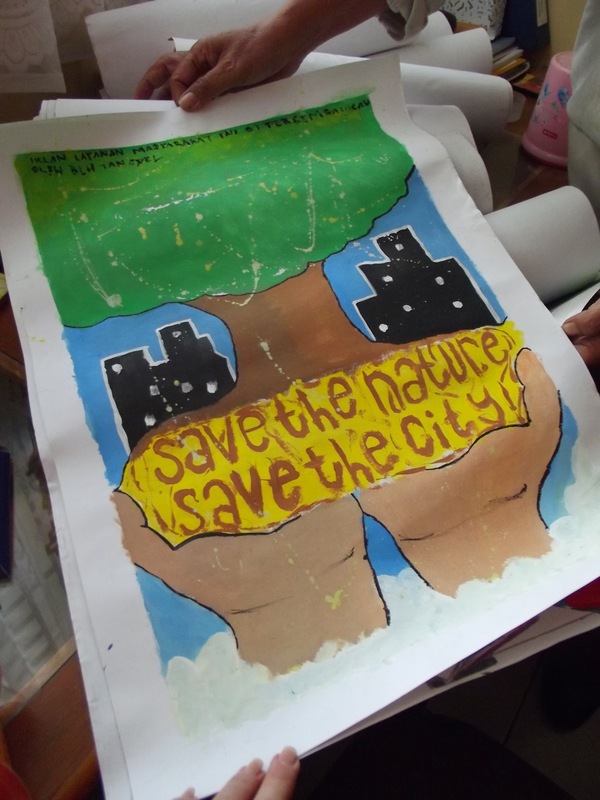 Indonesian school project about climate change. Today I begin teaching in a religious boarding school. I’m hopeful that I make easy connections with the students and can understand what we can do to make our world a little bit better by working together. I know the Indonesian people are as eager to learn from us as I am from them. Teens aren’t all that different in Indonesia. article as well as from our argument made at this time.